Fr. 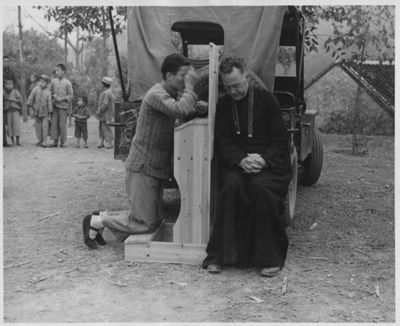 Mark A. Tennien holding outdoor confessions at Cenqi, China. Shumkai (now Cenqi), China. B/W Photo.